Writing has been a passion since childhood although it is only in the past few years that I have seriously started to write fiction. In December 2017 I published ‘The Storyteller Speaks’ which is my debut book. This is a collection of short stories, flash fiction, and poetry. My road to publication has been circuitous and aided by the support of my family, friends both within and outside blogging. In Spring 2014 I won First Prize in the Writing Magazine Short Story Competition which was a joy. Furthermore, I was short-listed for Inktears Short Story Competition in 2014. The recognition of my writing ability outside of my family and friends was a huge boost to my self-confidence and as a result, I started the mammoth undertaking of writing my first novel. I completed the manuscript early 2016 and am now in the process of editing the book. In the meantime, I was greatly encouraged to publish some of my numerous pieces of shorter works as a book and this project occupied the latter part of 2017. It was with great excitement and sense of achievement to launch the publication of my first book, ‘The Storyteller Speaks’, in December 2017 with the paperback released in January 2018. Outside of writing I am actively involved in proofreading new eBooks for Project Gutenberg and find this both rewarding and enjoyable. I enjoy a snapshot of so many various genres of books that I would never come across in my normal life. Professionally I started working as a journalist after my BA Honours Degree in German Language and Literature at the University of Leeds. After a serious illness, I changed career and got a position as Administration Manager for a busy timber import company. Currently, I am taking a break to raise my son and this has freed time to write more regularly. I was born in Gothenburg, Sweden and at the age of six, we moved to the UK where we settled near Ilkley, West Yorkshire. Since then I have moved many times but now live with my husband and teenage son in a small village in North Essex, UK. My interests include books and I am an avid reader with a book or two constantly on the go. Life without books would seem unbearable. I follow national and international current affairs with deep interest. I’m a keen gardener, much to the bemusement of my parents as I considered this life’s most boring chore as a youngster. Walking is a vital part of my life, as is Pilates. I follow the teachings of Alexander Technique. Please take a look at my blog on March 1, 2 019 – I hope you’ll be pleased. Warmest thanks, Sally … a lovely surprise to be featured! Thank you for dropping and the ‘like’ of the Senior Salon post on my blog EsmeSalon. I would love to see you participate and share a post from your blog with us. Linkup commences each Monday at 02:00 am and end the Friday at 8:00 pm PDT (Pacific Daylight Time). Esmé, first many thanks again for the interview and I will reblog this later during the week. I am out travelling for a few days. Thank you also for the offer to link up to Senior Salon. I wanted to ask a couple of questions. First, I’m in my 40s so is that okay? Secondary I do not to many reblogs on my blog so would not be able to do that if that is needed. I am very happy to link up, read others and share on Twitter if that works. Hope you’re having a lovely week. I’ve just found your blog, nice to meet you! You sound a very interesting person. Congratulations with all your writing achievements. I’ve had a bit of success as a freelance writer submitting articles and photos for U.K. Sailing magazines, but I’m yet to take the giant step of writing a book. I would like to write a couple of non-fiction memoir type books, but it’s the starting that’s the hardest! I found your blog via the three day quote challenge, as I’m participating in that too. Georgia, it’s lovely to meet you here on WP and thank you for coming by to say hi! 😀 Wow, I read your about page and am in awe of your lifestyle – I love the Greek islands but have never sailed around them. It sounds idyllic and wonderfully free! Thank you for your kind words about my writing and congratulations on your success as a freelance writer – that is fantastic. Memoir books are hugely popular and would be a great genre to write and look to publish. There are several blogs and books that write on this topic although I’ve never tried it personally. I always feel that starting in the middle, at a big event is a good start! Also, a question mark would be what you say about people still living, how they would feel, would you have to ask their permission, not cause strife between family and friends. With your travels you have a wealth of material to draw on. I wish you best of luck and hope you start the memoir soon! 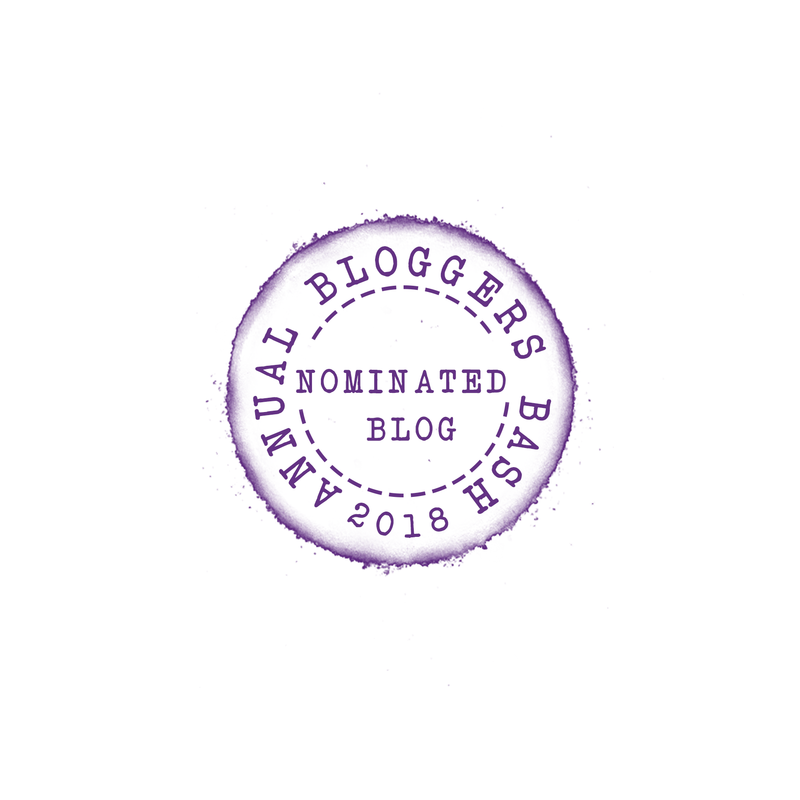 Hey, Annika I have nominated you for The Sunshine Blogger Award. I wanted to thank you for sharing my review on your blog, and for also adding a plug for mine. 🙂 The comments were closed, so I wasn’t sure where to write. Anyway, I was happy to help you out, and as I said before, you and your book are both well deserving of any praise. I had hoped what I wrote sounded fine. For some reason, writing reviews isn’t easy, and yet, they are so important for the author to receive. Lauren, thank you so much for your lovely message! ❤️ I closed the comments as otherwise people might feel they are repeating what many have already said about the book – I really just wanted to share your great review. Oh, I agree, they are not easy to write and must admit to only doing so seriously since I started blogging. I really didn’t appreciate how vital they were before I started to write seriously. How exciting that you are thinking of releasing your third book this year! 😀 What is it? I would love to hear more about it! I don’t know about being a pro at this but I’ve learnt a lot during the last few years … and now experiencing the post-publish and promotion side of of being an author! If you want to chat more please feel free to email me at annika.perry@btinternet.ccom – I’d love to talk more about publishing, your book etc. Hi Annika–just want you to know I’m featuring The Storyteller Speaks on my blog Feb. 16th. It’s such an amazing collection, I know I’m going to get lots of visitors. Talk soon! Jacqui, thank you so much! 😀😀 You’re a gem and I can’t wait to see the feature. Thank you for letting me know. 🌻 I just wrote on your last post and you’ve captured Carol’s book perfectly. Congratulations on your recent publishing success! I am a teacher at a school in Gosfield and I am wondering if you might be willing to come and speak with some of our budding creative writers as I think you would be a really inspiring visitor for them? Thank you so much! It’s been quite a journey to publishing my first book and I look forward to releasing more in the future! I am honoured to be asked to come to the school and speak to some of your budding writers – thank you so much. I would very much like to discuss this with you; perhaps you could email me directly and we sort out a date for me to pop by to discuss this further. I love your book cover! Very beautiful! Thank you so much,Angelina! 😀 Yvonne Less is a gifted designer and this was just perfect! Hi Annika. Just popped by to thank you for liking a couple of my recent posts. Wishing you continued success in the coming year and beyond. Thank you so much, Frank – it’s been a crazy exciting time this year…goodness knows what next year will bring! It’s been lovely to meet here on WP! I love Rilke as well, although he was an extreme egocentric but his lyrics is beautiful and quite often full of secrets and his novel is very special, more lyrical than epic. I wish you lots and lots of success with your writing. Well, writing is a lifestyle, isn’t it? And it’s addictive. A life without writing – no way, I can’t imagine living without. well, maybe your agent told you already: Now you should go out to make your book sell, interviews, talk-shows, book signings etc. But you will survive it and it gives you a good idea how your readers see your texts. It may now seem slightly surreal but you will grow into it. Rilkes Novel “Malte Laurits Brigge” is a highly unusual novel, it’s like writing should be the art of playing with words and connotations. Actually not that different to his poems. Das scheint mir sehr interessant liebe Annika. I want you to know that I was about to reply to your comment on my “Finally” poem, and I hit a mysterious key on my laptop and accidentally deleted it. It’s so frustrating. Anyway, thank you for your kind words and hugs. I appreciate them very much. And since I haven’t read your “about” yet, this was a good time. I enjoyed reading about your interests and your book path. Did you get it published? Congratulations in finishing it, too. Anyway, thanks again, and have a lovely weekend. Hugs back, too. I just check and it wasn’t there, so I guess it really did get deleted from my laptop. But that was a good idea, and I was hopeful. 🙂 You’re right though, there’s a reason for everything, and I’m glad it brought me to your page. I look forward to your finished book and your short stories. That’s very exciting! Besides my writing and blog, I recently took up guitar again. I used to play when I was younger, so I’ve become inspired again. I bought a new one a few days ago, and am looking into lessons. I’m excited, like a little kid. Anyway, hope you’re having a good weekend. Hugs back! Yeah! Lauren that’s great about taking up the guitar again and congratulations on your new one! 😀 What do you play? Acoustic or classical? Or perhaps bass? I played classical guitar as young but have always had a longing to learn piano and so have just booked lessons!! It is such an exciting feeling and yes, just like being a kid again! I’m definitely equally nervous as then!! PS. I hadn’t even noticed the error…and I’m sure one cringes worst at ones own! I’m going word-blind with editing today and silly things are slipping through which I then find a few hours later – frustrating! Hi Annika I wondered if you’d be interested in reviewing The Curse of Time? Starting to look for reviewers! I have got to send you an e-mail but couldn’t find any contact information on the blog. Can you please share your email-id? I need your help/guidance. Nice to meet you, Annika! Hi, I was searching for blogs on books and when I came across your blog, I fell in love instantly! I mostly write in my mother tongue Gujarati, an Indian language. I love reading too. I am fond of writing and reading poetry, recently started writing short stories. Happy to follow your wonderful blog now on. Good Luck for your book publication! Interesting to come across your blog through looking up garden blogs but was intrigued by the writing element. Likewise I am on a final edit and looking at the process of contacting agents. At times it seems daunting and has kept me away from blogging and the garden. I wish you every success and will try and follow your journey. Hi Annika, yes will keep in touch. I want to try and get a publisher before trying self but seems the major ones need you to go through a literary agent. So at the moment I am composing covering letters and synopsis. Have used the 2016 Writer’s year book for links. At the moment I have chosen three to approach and one has some nature writers but mine is Nature fiction. It is a saga from a journey from the south of Spain to the North by two unusual pairings of animals. A Buff tailed bumble bee and a Bee eater are on a quest to save the bumble bee from hotter and hotter summers. The black kite and a weasel need to encourage them to come back but also need to discover what is happening with the weather! It is an imaginative flight of fantasy but about the real creatures that are struggling to survive in a world being constantly disturbed by the human species, known as Outsiders! I am finding it hard to really explain the novel and it is aimed at all ages. So it is good for me to try different ways of informing people about it. I think it is a good idea to publish something prior to your novel but I haven’t really finished some of my other pieces. I always used to start something while working and never complete it. So am glad I have finished this novel but could go on tweaking and editing and adding forever. However I would like to ‘finish’ and continue with the other pieces soon. It’s too hot here now so can’t be distracted too much by gardening except to water! Good luck with yours and do let me know about your novel and how you are getting on too. Yes, constant wifi helps but enjoy being away and its good for me now to try and explain the book! I hope you’re well, Annika! I’d just like to show my gratitude for the ways in which all of you have enriched my life. If you’re interested just send me an email with your idea. I’d like to have submissions in by July 20th. Nice to meet you. Congrats on your book, and I wish you the best with your publication route. I understand! I’m looking for a literary agent right now. I have had some on the “fence” of taking my book. I keep edit and query some more. I think, how many more edits? Ha ha. We are pushing forward, so that is what matters. Our words will be out there to hopefully help many. Annika, I had a suspicion you British and decided to see if your About page confirmed this – and so you are. Though born in Sweden, as I should have guessed by your name – which I love, BTW. So much fun to get to know and become friends with folks around the world through their blogs. Seems I’m a world traveler though I rarely get out of Southern California, and haven’t been out of the States in decades. It’s interesting that you mention reading and reviewing books as being a passion as much as writing them. I tend to forget mentioning this even though it was reading great books that convinced me I had to write. I wish you every wonderful adventure on your journey to publication of your first novel. Haha…I’m just trying to confuse everyone! 😀 I feel both British and Swedish which I used to struggle with but have now decided to embrace the best of both worlds! Having grown up in the UK and lived here since childhood I’m not surprised you thought I’m British…but yes, the name is a bit of a giveaway! As America is so large you don’t need to travel beyond its borders to experience many different cultures, history, nature…although it’s always fun to travel abroad. I would love to go to California one day but it is so far on a plane…I was over the moon I managed to get myself to Florida last year! Sharon, oh, you must mention reading and reviewing books as well – from your blog I can tell they are an integral part of your being and help to develop and inspire your writing! !